Data recovery is the process of restoring data that has been lost, accidentally deleted, corrupted or made inaccessible for any reason. In enterprise information technology (IT), data recovery typically refers to the restoration of data to a desktop, laptop, server, or external storage system from a backup. The data recovery process may vary, depending on the circumstances of the data loss, the data recovery software used to create the backup, and the backup target media. For example, many desktop and laptop backup software platforms allow end users to restore lost files themselves, while restoration of a corrupted database from a tape backup is a more complicated process that requires IT intervention. Data recovery can also be provided as service. 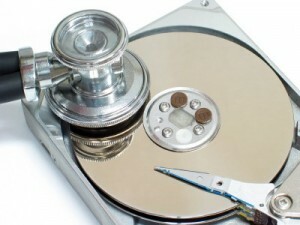 Such services are typically used to retrieve important files that were not backed up and accidentally deleted from a computer’s file system but still remain on disk in fragments. An organization’s disaster recovery plan should make known who in the organization is responsible for recovering data, provide a strategy for how data will be recovered and document acceptable recovery point and recovery time objectives.